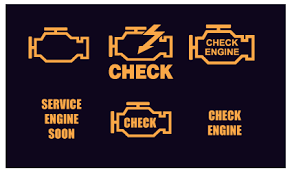 Any of the above light symbols will automaticlly FAIL Your State Inspection!!!! You will need to have this fixed before your vehicle can be inspected. We can check this out for you and repair the problem. After the vehicle has been repaired it will need to be driven on the average approximately 50 miles to run the vehicles emission monitors. Some vehicles will run them in as little as 10 miles. We have also had vehicles that have taken over 500 miles to run the emission monitors. 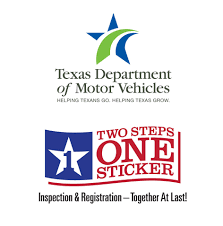 (This however is very rare) The State of Texas does allow 1 to 2 monitors to not be run depending on the year of the vehicle and still pass the State Emission test.